Each year we fund projects to conserve and enhance fish and wildlife in watersheds impacted by BC Hydro dams. We share project results in our newsletter, annual reports, and through WildBytes, our quarterly e-letter. We also prepare and post searchable project report spreadsheets for our Coastal, Columbia and Peace Regions. You can use these spreadsheets to find links to final FWCP project reports. All FWCP project reports are posted on Province of BC databases, that way everyone has access to our reports and results. Our projects can have immediate benefits to species and ecosystems. For example, if we fund a project to remove a culvert, fish passage can be improved right away. Other projects may take longer to show results. 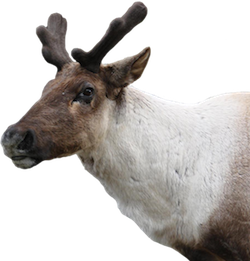 Our funding of recovery efforts for endangered Northern Leopard Frogs, caribou, and Vancouver Island Marmots are examples of where a longer-term commitment is needed before results will be evident. If you have questions, or can’t find a report, contact us. We'll be updating this space regularly with project results from our regions. 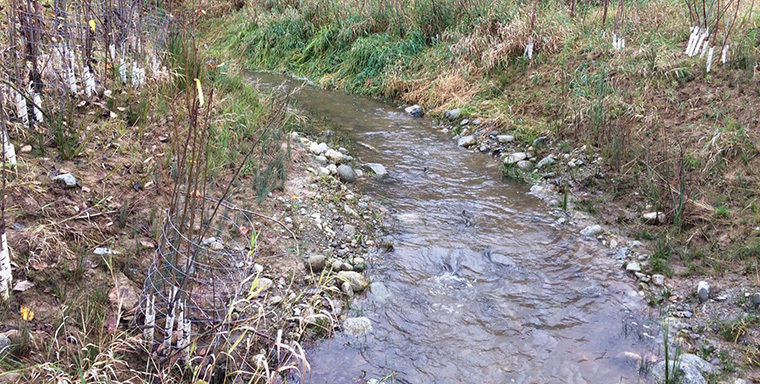 Coastal Region — Coho and Chum salmon are using new spawning habitat created in part by funding from FWCP. 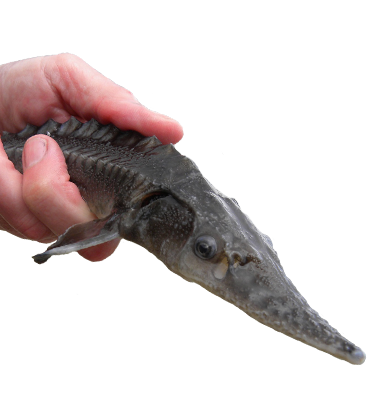 50,000 m2 of instream rearing habitat, 750 m2 of spawning habitat was created or restored; and more than 20,000 native plants covering an area of 4,000 m2 were planted. 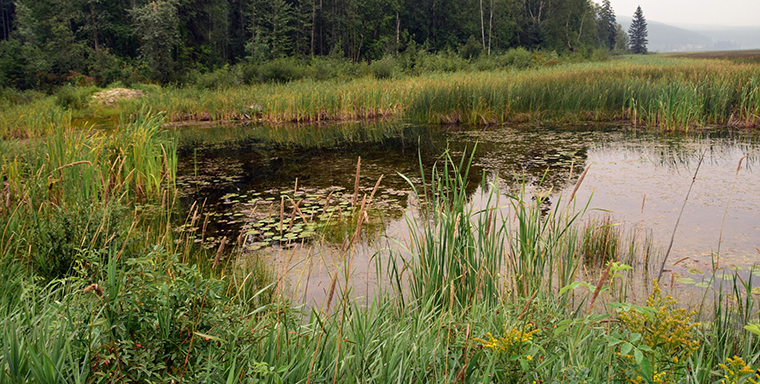 Columbia Region — Nearly 2.5 hectares of wetlands have been restored near Blaeberry, north of Golden. This is one of five wetland restoration projects funded by FWCP and delivered by BC Wildlife Federation in 2018-2019. Peace Region — Four wetland workshops held across our Peace Region helped train 50 new wetland stewards. 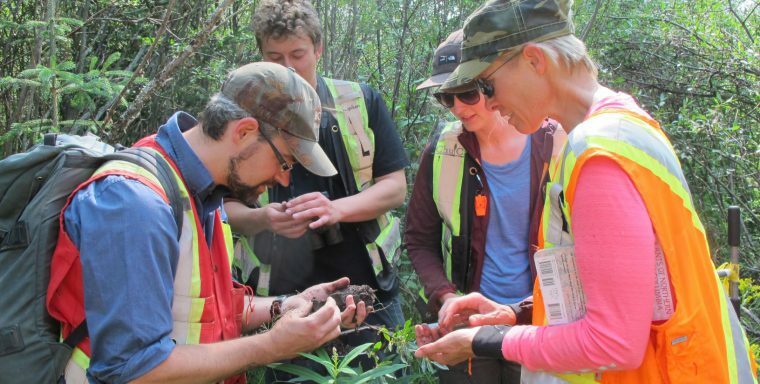 The classroom and field-based workshops are part of our commitment to help restore and conserve critical wetland impact and were delivered by the BC Wildlife Federation. Each FWCP region prepares an annual report that includes a financial overview and a summary of project results. The annual reports are available by July of each year. We report on projects and results in our annual newsletter. Read it online now, or contact us and we’ll mail you a copy. Learn more about the projects we fund and how you can apply for a grant. Subscribe now. To make it easy for you to find project reports and results, we prepare and update searchable spreadhseets for each of our regions. Use these spreadsheets to find the report you want. Contact us anytime if you need help to find a FWCP project report.